We present students with music outside of their normal day-to-day preferences to spark curiosity and motivation by illuminating knowledge gaps (Loewenstein, 1994). Developmentally, music provides an emotional connection for pre-adolescent and adolescent students while helping to construct their sense of identity, socialization and motivation (Miranda, 2013). Adolescents enjoy listening to music by a 2:1 ratio over social media engagement (Common Sense, 2015). Common Sense Media Inc. (2015). The common sense census: media use by tweens and teens. 38-39. Loewenstein, G. (1994). The psychology of curiosity. A review and reinterpretation. Psychological Bulletin, 116(1), 91. Want to test out music and geography IN youR classROOM? 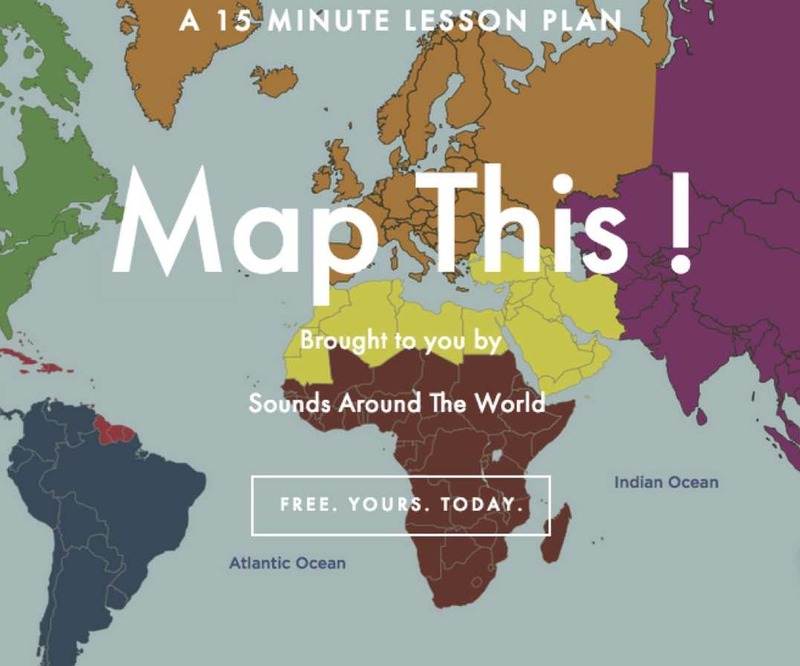 Try our FREE 15 minute Lesson Plan: Map This! Ready to have fun and learn with your students?